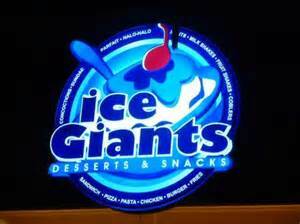 Ice Giants has become our favorite stop when in Davao City. Their cold treats are just tempting. It was Mother's Day and we're supposed to sit down and celebrate the occasion however, for some reason, we needed to hurry home so we just stopped, took our orders out and had them while rolling home. This time around Jay and I had parfaits, while the girls indulged in their chocolate sundae. I thought this is a very sinful treat yet the big man loved it that he could lick the cup clean, LOL! I'm not so big on sweets but I find peach and mango a perfect combination since it dawned on me. There's not much guilt felt here since I savored fresh fruit flavored ice cream treat although I wasn't able to finish the whole cup still. Glad D2 was there. But would I have it again the next time?... definitely yes! 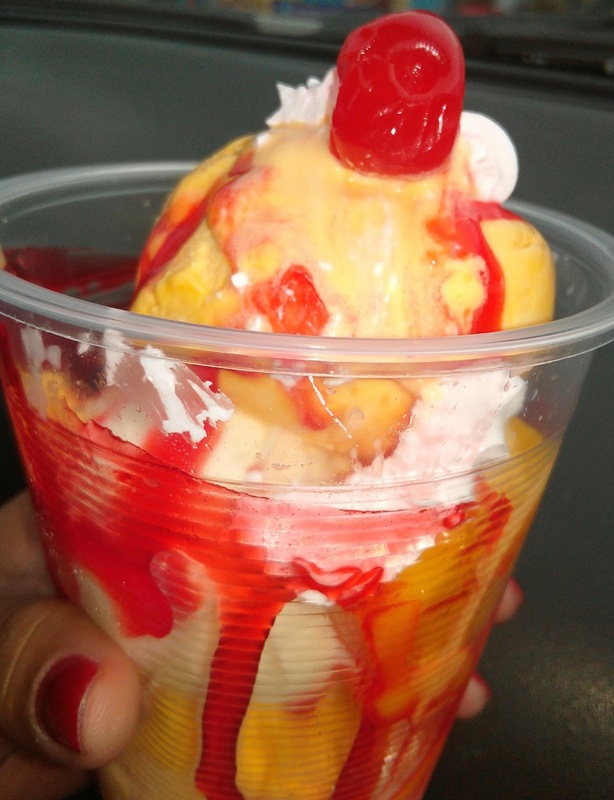 Parfait is a kind of dessert consisting layers of ice cream, fruits, whipped cream, etc..., served in a tall glass. 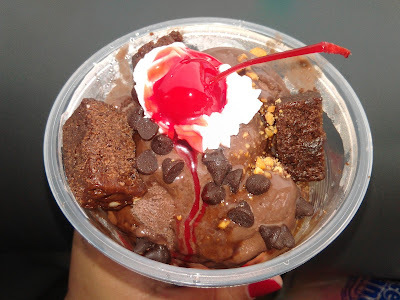 Available also apart from these are Oreo Choco and Choco Chips parfaits. They also have sundaes, cobblers, concoction, pasta parade, southern style fried chicken and various sandwiches. Ice Giants at Damosa, Lanang is flocked by many in Davao. It is only steps away from the SM Lanang Premiere. Dining out isn't a problem here. And if jamming and occasional drinking is your thing, Damosa Gateway is also a perfect place to hang out to with friends at night. In fact, I used to hang out here with some old friends where we enjoy fogs and bubbles while singing and dancing. I thought maybe the bar owners here should look for fog machine check it out at GuitarCenter. But yes, that was then and however long ago that was, the place has remain fascinating day and night.